A selection of workshops and talks focused on public speaking ensured ORA students at Merton were full of helpful hints and tricks to refine their skills. ORA pupils at Merton appreciated the chance to work with expert public-speaker Ges Ray in a tailored workshop this week. Ges introduced the group to the importance of speaking with confidence, using gestures to illustrate points and projecting with clarity. Having demonstrated his own keen speaking skills, Ges encouraged the pupils to stand at the front of the class and use his top tips to improve and refine their own public presentation. The results were impressive. Students who had initially arrived at the class apprehensive about their confidence levels were transformed into professional performers, captivating their audience and delivering impressive speeches. To continue with the theme of public speaking, an inspirational talk was delivered on the topic of overcoming adversity. Tactful solutions to overcome difficult situations ensured that students will be well-equipped if such unpleasant scenarios occur in the future. 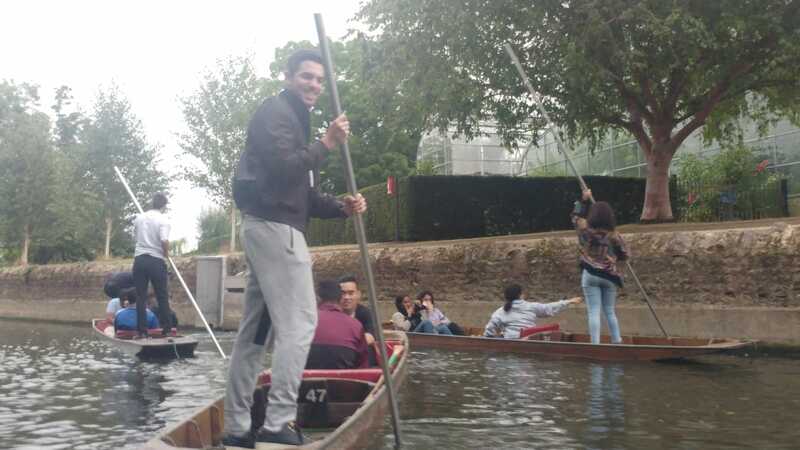 The high seas were calling to ORA pupils at Merton this week as they decided to have a go at punting. The river was calm and tranquil as the loud, laughing students boarded their vessels in search of adventure and cultural experience. Gliding below famous bridges and alongside iconic colleges, the group impressed with their keen knowledge of the city, despite the short duration of their stay, as they pointed at landmarks. Laughter and chatter echoed down the river and startled some of the lazy ducks and geese resting on the water. A gorgeous sunset graced the students as they drifted onward and made for some beautiful photos in the dusky light. This evening, we say a fond farewell to our wonderful ORA students at Merton as they head home after an incredible Session with ORA. Check in next week to have a look at their Graduation photos.